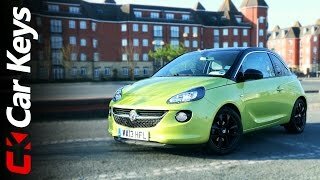 Vauxhall has recently revealed the Vauxhall ADAM 2013, a city car that boasts a high degree of customization and what the company hopes to be a better alternative to the Audi A1, the Fiat 500 or the Citroen DS3. Let's take a look at its main characteristics and see how it fares against the competition. 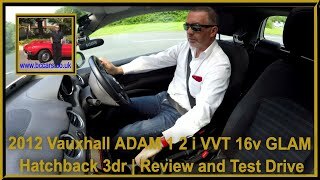 Under its bonnet the ADAM is equipped with a brand new 1.2 liter engine developing 69 horsepower, or a 1.4 liter unit that is able to develop either 86 or 99 horsepower depending on the variant. Regardless of which engine you'll choose, the ADAM comes with a five-speed manual gearbox as a standard and the option of fitting a start-stop system for better fuel efficiency. We've pretty much established that the carmaker's city car will be offered in three trim levels, but we really can't overlook the trim level names. First there's the "Jam" variant that's characterized as colorful and fashionable, then there's "Glam", characterized by elegant and sophisticated features, and last but not least there's "Slam", the trim level that focuses on sportiness. The ADAM measures 3.7 meters in length and 1.7 meters in width, which places it pretty much in the Mini Hatchback league. 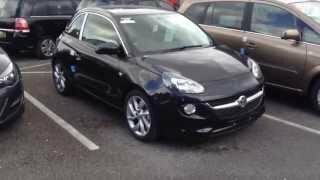 In terms of exterior design the Vauxhall comes with a two-tone color scheme, a front grille that resembles the one found on the Opel Speedsterand a styling line along the sills similar to that found on the Insignia. Lastly, the ADAMboasts with optional LED daytime running lights, a feature rarely seen on cars of this segment. 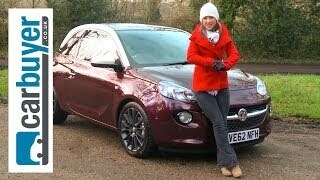 Vauxhall's city car is offered with three sets of wheels ranging from 16, to 17 and 18 inches. On the interior the ADAM comes with a two-tone color scheme, same as the exterior. Some of its other characteristics include bright inserts on the dashboard panel and a 7-inch touchscreen featuring iPhone and Android compatibility. Now that we got the details out of the way, time to have a look at the car's availability and expected price tag. 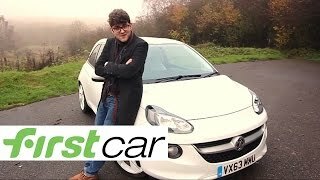 If the Vauxhall ADAM 2013 appears to be right up your alley then you should know that this lively city car will not hit dealerships until January 2013. The city car is expected to make its debut at this year's Paris Motor Show in September, but as far as far as pricing goes, evidently the carmaker has not shared much information regarding the matter. However, the expected price is somewhere around £9000.